Enjoy an afternoon tea after your new arrival's christening and celebrate with family and friends in beautiful surroundings. Our afternoon tea is served on vintage crockery and comes with your baby's name and christening date written on personalised cake pops. Enjoy a bespoke christening cake and treasure your little ones special day. 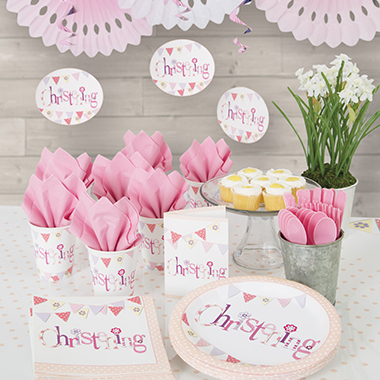 You won't need to worry about anything, we’ll take care of it all with a christening flower and decoration package and garden games for your little guests to play with. £24 per person - minimum of 25 guests. A beautiful personalised naming ceremony given by a professional celebrant to welcome your new arrival. Enjoy an afternoon tea with personalised cake pops, garden games to entertain little guests and a bespoke celebration cake. We’ll take care of it all with a small flower and decoration package included as well. Prices start from £999 based on 30 guests. Thank you, someone from the events team will be in touch with you shortly!